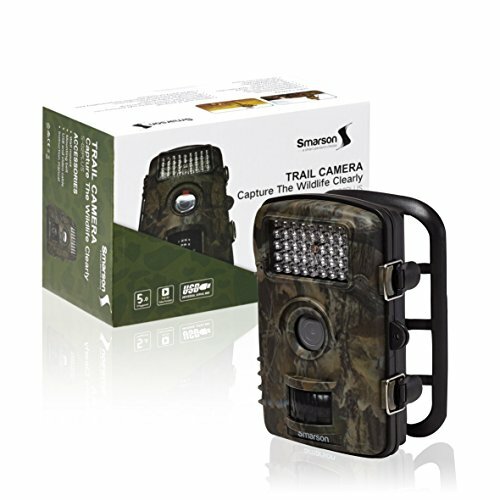 The Smarson High Resolution LED Trail Camera is an essential accessory for any hunting enthusiast! 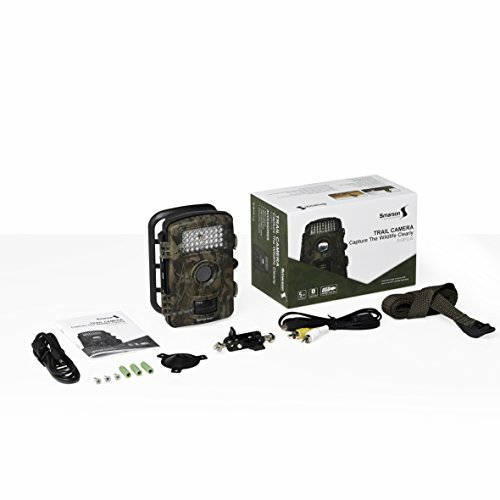 The built-in 42pcs LED provides up to 20 meters of night time vision, allowing you to capture undetected shots from a far distance. 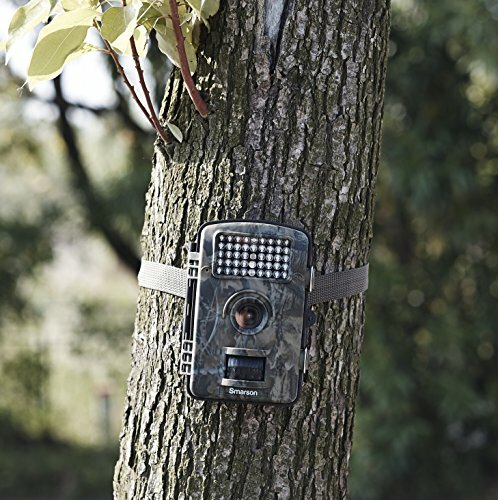 Specialized shooting modes includes Flextime, time lapse technology, Redux Anti-Blue technology, and an exposure control system to deliver clear high quality pictures. Fits up to a 32GB SDHC card and features a 16:9 aspect ratio to capture wide angle wildlife shots day or night that are easily sharable. 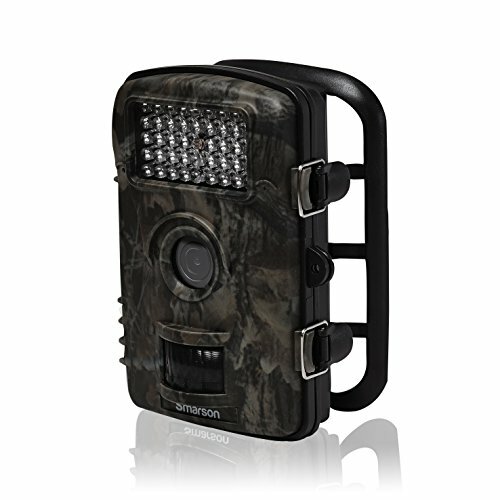 The 2.4" TFT-LCD color monitor allows for easy navigation and mode selection. 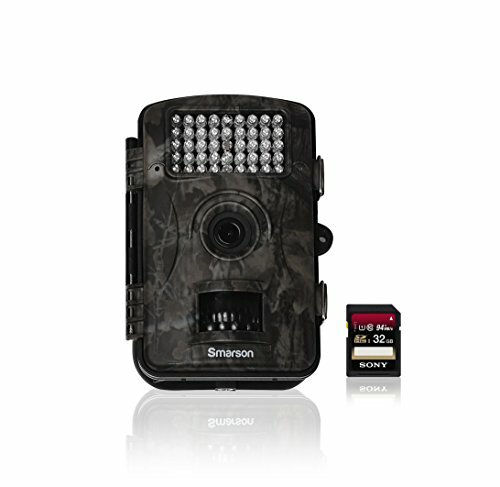 The 5 MP camera sensor also has a default video resolution of 1280 x 720p at 30fps. Battery has 6 months standby time and alarm at low battery power. User manual, USB cable, AV cable, bandage, and wall mount included. Measures 136x98x76mm. 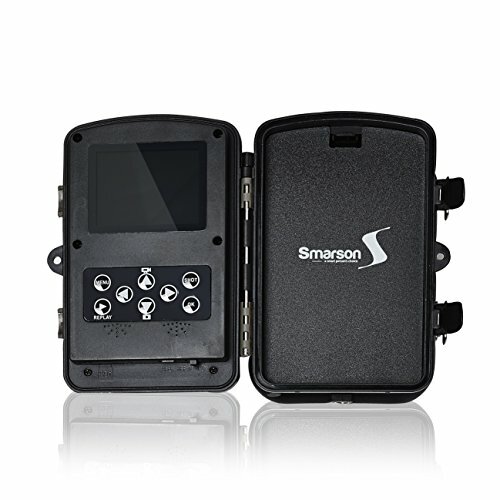 Smarson develops solutions for people who value incorporating both innovation and functionality into their everyday lives. Smarson, a smart person's choice.